You’ve got a few of them in your “Good Ideas” folder haven’t you? And you can see they’re growing in popularity. They seem a natural fit for your business, but you’re just not quite clear on how to use them… The digital longread has entered the marketplace and it sure seems a great way to promote your book or novel or blog, but where to start? To sort it all out, let’s have a look at some of the benefits of the longread, why and how to write a good one and how to use it in your marketing strategy. To start, let’s have a look at some of the advantages of this emerging digital genre to see what the potential upside will be. 1. Higher search engine results. Professional tip – for a longread such as a guide or manual, make sure each page has unique value to take advantage of people’s searches. 2. Greater social media success. In the same post Kevin Delaney, editor of Quartz, claims that longform, or longread, content (2,000+ words) performs better in social media than posts of 500-800 words. And, of course, with longreads the opportunity for link building is greater due to the sheer volume of material available to link with, compared to a 400 word blog post. You can establish trust in your niche by providing helpful, informative or entertaining longform content to complement existing work, or as part of a promotional campaign in marketing a book publication. For branding purposes, a longread piece is ideal to create a marketing campaign around. Longreads of high caliber content are more compelling for advertising campaigns than shorter blog posts, and sponsored ads on Facebook and longreads.com will put your piece front and center for social media sharing. Combine ads with newsletter/email series, free mini-courses, contest giveaways, or a book launch to maximize exposure. Know your goal in creating a longread article. Promoting a new book? Or building an audience? Clarity on why and who you’re writing the piece for is necessary for a seamless connection to the outcome you desire. Choose a topic. Obviously, a topic that will relate to your book, guide, website or other promotion and support your campaign. Give consideration to keywords, any existing analytical data, your niche and target audience as well as what the competitors are doing successfully. Create an outline and draft first to ensure your idea is on-topic and relevant to your book promotion or other marketing goals. 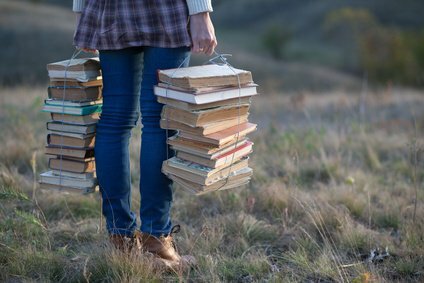 For book promotions, a working chapter makes for good, relevant long-read content. Design for the digital reader. Ensure that your long-read is mobile friendly, use discerning anchored links to other relevant content, have easy to use email sign up boxes and social media share buttons. Longread blog themes. WordPress and other blogging platforms now have themes of a minimalist nature that work well with the long-read format. Think multimedia. To enrich your longread article, Paul Woods in his post on edenspiekermann.com recommends weaving “videos, images and information graphics…into the story back and forth… during the writing process.” Not added to the text later as an afterthought. They’re important components that should be given appropriate consideration for inclusion in your writing. Keep it clean. Again, from the above post by Paul Woods, keep in mind how easily a reader is distracted online and maintain a clean and simple reading screen to hold their interest. To minimize distractions, all interactive agents need to disappear while reading the actual text so as not to interrupt the readers flow. Gated vs. Ungated. Will your readers need to exchange something (an email address for example) in order to download your work? This is considered to be a “gated” offer, while a free download with no strings attached is referred to as “ungated”. Let your business model guide your decision here. Longread content is ideal for iPads, Android and iPhones, and Kindle, Quick Reads and Nook Snaps as well as apps such as Instapaper, Read It Later and Flipboard. Publishing platforms Atavist, Byliner and Narratively now curate and publish fiction and nonfiction material with new players entering the digital marketplace in ever increasing numbers. Some of these platforms charge for long-form content while others offer free content with premium membership fees – choose ones that work best for you. Clearly, online readership is shifting. Readers are now looking for meatier content of greater substance that will hold their interest, entertain and inspire them. Good news for writers who have a breathtaking story to share! Longread content is ideal for those times of the day when we’re waiting – waiting for the bus, on the train going home, in the doctors’ office etc., and we’re looking for something to engage with. Why not take advantage of longreads’ growing popularity to provide greater value for your reading audience and promote your new book as well? This entry was posted in General Writing and tagged attract readers, how to write a longread on November 28, 2014 by Steve Aedy. Do you need to polish up your writing skills a bit? Maybe you feel a little shaky on punctuation or grammar? And how’s your confidence with verb conjugations? If you feel your writing success is being held back because of a lack of skills, technical knowledge or expertise, we’ve got some good news for you. With so many outstanding resources available online, you can now easily get the support and information you need to develop your writing skills – without having to become a full-time student again. With that in mind, we’ve curated this list of 21 free online education resources for writers. So, dig in and take advantage of the generosity of our fellow scribes. WikiHow’s How to Use English Punctuation Properly covers the basics of using correct punctuation to create a more polished product. Grammar Girl’s Quick and Dirty Tips provides easy tips on grammar rules and word choices guidelines to improve your writing style. And some easy to remember exercises that will help to remember grammar rules. From the University of Ottawa’s Writing Center, Hypergrammar is an electronic grammar course covering parts of speech, grammar, spelling, building sentences, using verbs etc. The Capital Community College Foundation offers us the Guide to Writing and Grammar. This site is full of useful information on word choice and sentence structure, grammar, the writing process, and writing essays and research papers. Paradigm Online Writing Assistant gives us access to articles on freewriting, basic punctuation, common problem areas, basic sentence concepts and choosing a subject. Well worth a visit. From Rutgers University English Department, Professor Jack Lynch gives us his Guide to Grammar and Style. A miscellaneous collection of grammatical rules, tips on style, and suggestions on usage gathered from his classroom notes. Scribe Consulting gives us a series of articles in Better Writing Skills that outlines proper use of ampersands, apostrophes, colons and semicolons as well as tips on using ‘which’ and ‘that’, ‘who’ and ‘whom’, and ‘you and I’ versus ‘you and me’. The English Style Guide is based on the style book new journalists at The Economist are given. It’s full of helpful advice on journalism in general, and common mistakes and clichés plus guidance on consistency in punctuation, capitalization and abbreviations. It also houses a wealth of reference material. Now freely available online, William Strunk’s The Elements of Style is a timeless classic on writing and one of the most commonly used reference manuals. Every writer should have a copy, and now you can too. Roy Peter Clark at Poynter runs a blog for writers and journalists and gives us the Poynter Writing Tools, a series of articles in the ‘how to’ format for improving your writing skills. Technical Writing comes to us from Dr. Ronald B. Standler. He compiled this guide to help his undergraduate students with the grammar and style requirements necessary to write effective technical compositions. It covers the use of numbers in sentences, equations in text, citations and bibliography usage as well as verb tense and voice. At Purdue University’s Online Writing Lab, you can find hundreds of resources on writing, research, grammar, formatting and writing style guides, and professional writing tips. Writer’s Digest is a site dedicated to providing information on improving your writing skills, and the publishing process. It also has a community forum, editors’ blogs, competition listings, events and a large library of educational resources for writers. This site should be in every writer’s listing of favorite websites for quick access to a wealth of information. Steven Barnes, novelist and screenwriter, generously shares the material of his nine weeks Lifewriting Class that he instructs at UCLA. He offers material on how to write, as well as how to structure your life for success as a writer. From one of the leading authorities on successful copywriting and blogging, Copywriting 101 comes to us as courtesy of Copyblogger. It’s an ebook with 10 lessons to get started on the basics of writing effective copy. You should also check out their vast library on SEO copywriting tactics, writing headlines and online marketing in general. At Problogger, you can find tips and tutorials on crafting great content, writing headlines, how to start a blog, copywriting, and how to monetize your blog. The blog at Men With Pens offers over 1,000 articles all geared to help you improve your content writing, blogging, freelancing, and entrepreneurial efforts. Well, we did promise a site on verb conjugation, so here it is: the English Verb Conjugation tool from Verbix. Fill in the infinitive and you’ll get a list of English verbs in every imaginable conjugated tense, from nominal forms to indicative and conditional right through to the imperative. Easy to use and understand, this impressive tool should be in every writer’s kitbag. Use Ornagoo’s Spell Check to check the text, grammar, and synonyms of your entire website. Using English has an online Advanced Text Analyzer to dissect your word count, lexical density, word and phrase analysis, as well as readability of text. You’ll need to register first, but it is free. Wordcounter will rank the frequency of words used in a given section of text. Use it to expose where you overuse words that result in repetition or redundancy. Wow! There’s a lot of free educational information and resources available online. We writers are a lucky lot. With such an abundance of valuable information available to improve our skills, it’s really hard to justify not starting that new writing project. So check out some or all of the above tips to make your writing journey easier, and more enjoyable. After all, you never know when some future blogger is going to be referencing your site or guide as one of the go-to resources for writing success. This entry was posted in General Writing and tagged online education, resources for wtiters on November 14, 2014 by Steve Aedy. You’ve heard it a hundred times, haven’t you? If you want to become a better writer, you need to read more. And it’s not just good advice for professional writers either. Writing well helps anyone to communicate better, to express their thoughts and feelings with greater clarity. And a greater understanding of the written word helps us to develop a better comprehension of the world around us. It’s clear that reading and writing go together. But to fully understand the benefits of reading and how it applies to better writing, let’s first look at some of the reasons why we should read. And then we’ll go into how to read more effectively. Dan Kurland at criticalreading.com gets right to the point. “Reading is primary. One can only write as well as one can read.” You have to first understand how language works as a reader before you can communicate as a writer. It will improve and reinforce your vocabulary development. It exposes the reader to different writing styles and models. Reading expands and deepens your approach to subject knowledge. It gives you the opportunity to comprehend a topic at your own pace. Jeff Goins emphasizes the point that to become better at their craft, “Writers need to read. A lot. They need to grasp the art of language, to appreciate the finer points of words.” And reading will help you do that. Not only is reading instructive, it’s also inspirational to read the works of others as it keeps our flow of words fresh and in a state of evolution. Also, through the practice of reading more, you avoid slipping into writer’s rut. That is, as you broaden your perspective and knowledge base through reading, your writing skills naturally expand and grow correspondingly. Now let’s move on to some techniques to improve your reading effectiveness. 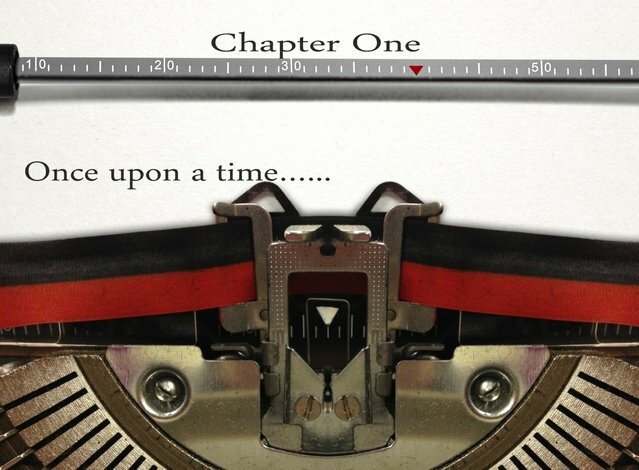 While it’s fine and well to study the style and characteristics of your own genre and favorite authors, to really reap the benefits of reading you’ll have to “venture outside of your normal reading realm.” This is from Joel Goldman who believes that writers should read from a buffet of styles and topics. This is a common theme in all of our research for this topic – read outside of your normal sphere of influence. Read romance, thrillers, non-fiction, biographies, magazines and manifestoes. Basically, anything you can get your hands on. Mr. Goldman also presses the writer to “Read things that would normally turn you off.” This will broaden your perspective and gain a better understanding of the appeal of the subject matter, and its audience. We’ve established that to be a better writer, you’ll need to read more. And to benefit fully from reading, consider developing it into a habit. Determine what your reading goal is and set up prompts to remind you. 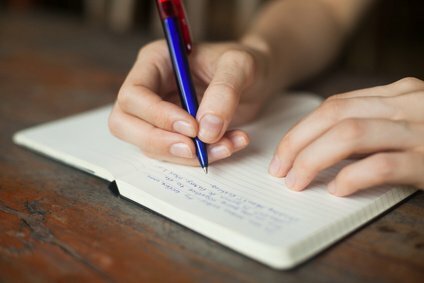 This is important in the beginning to stay on track – use post-its, journal about your goal, set reminders on your computer, etc. Plan ahead to determine when you can read. If necessary, start small and grab 10 or 15 minutes when you can. At bedtime, coffee breaks, lunch, or waiting for appointments… by doing this four or five times a day, you can clock an hour’s worth of reading. And again, set up appropriate cues to trigger the new behavior you’re trying to develop. Always have some reading material with you;:a book, magazine or a longread online. And keep a stash of books in the places you’re likely to read: your purse or messenger bag, by the bed or your favorite chair and in the car. Take notes. In 52 Tips for Improving Your Skills, author Dan Coyle references some interesting research. People who read 10 pages then stop and take notes in summary form, retain 50% more information than those who read 10 pages four times in a row. Jotting down notes in bullet points is equally effective. With every book you read, try to establish a little distance from the plot and begin to notice how the author has put it all together. You’ll still be reading for pleasure, but a bit of emotional separation will help to develop your scrutinizing skills. Study the authors’ style and voice, and the manner in which they’ve developed characters. Analyze the plot and identify the main ideas. Learn to skim as you read to glean the gist of the material. Scan the text for pertinent information, and re-read what’s relevant. How they’re saying it. Try to identify the unique manner in which they group words together, or the patterns and rhythm they use to convey an idea. Well, clearly there are plenty of good reasons why reading will help us to become better writers. Put into practice some or all of the above ideas to improve your reading abilities. And as you start reading more, you’ll experience a growth in your comprehension, communication, and knowledge base – which will naturally lead to greater writing success. This entry was posted in General Writing and tagged reading, writing better on November 7, 2014 by Steve Aedy.